Halo, I figured since I have blogged about my bag collection, maybe I can show you guys what’s my current obsession…. 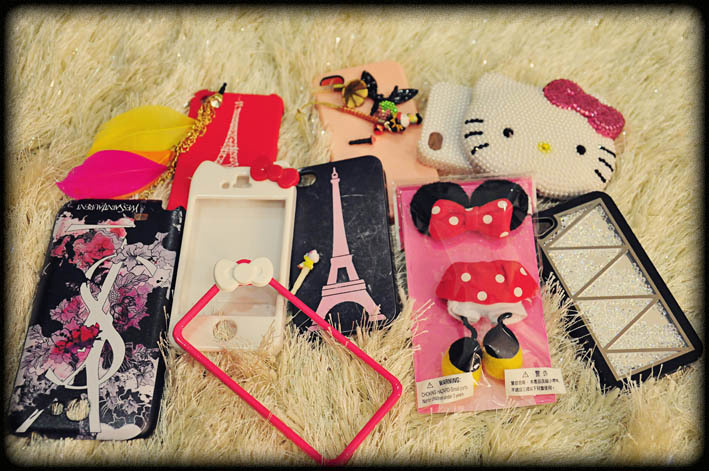 One of the reasons why I love going to the pasar malam is because I love looking at all the phone cases. I will make a few stops at all the phone case stalls until Jo says, “Babe u have more than enough cases, u only have one phone. So, this is my phone case collection… Most of my cases I got in Taiwan or China because it’s super cheap there. I realized those that are selling in the pasar malam are pretty expensive even though it’s not original and some of them are selling it at around RM50 per case. Im talking about those that are of better quality or prettier ones. 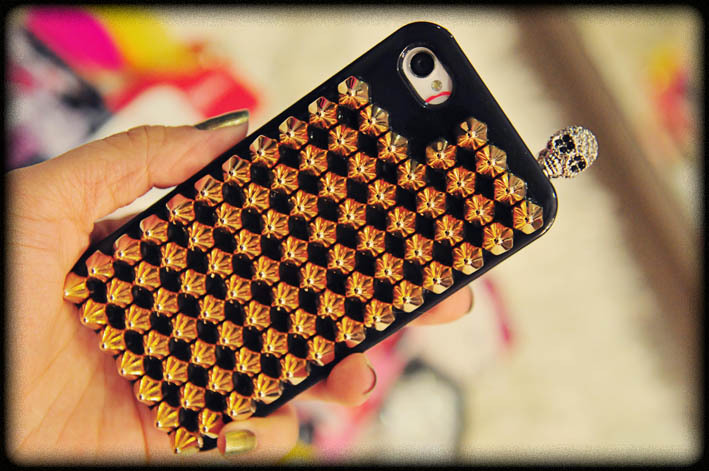 This is my super favorite case that I got from China for around RM60, it’s super cheap right!! 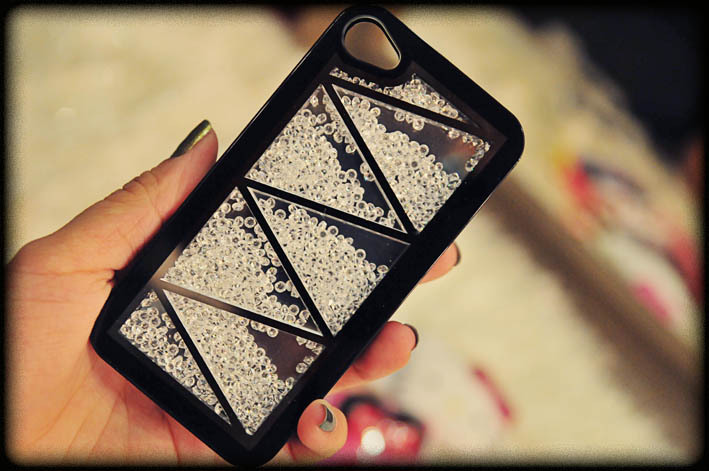 I got it at a wholesale place that only sells Iphone cases, not just normal cases but those with a lot of crystals or pearls ones! 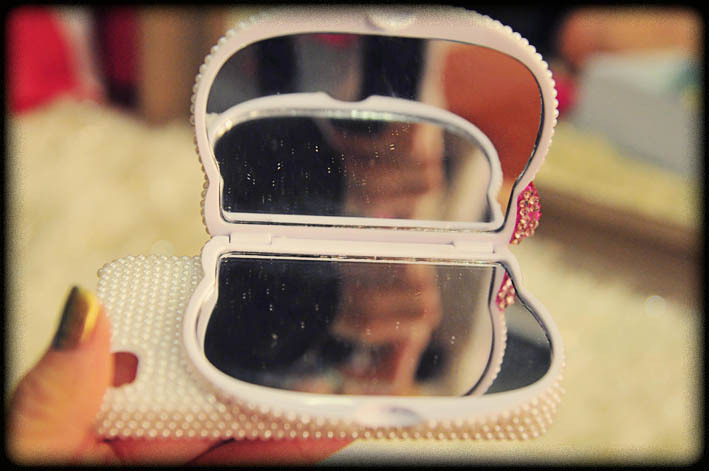 It’s not just a normal phone case, it’s a mirror too!!!! Cool or not!!! Some of you should already know that I’ve recently got myself a Samsung Note2, so my obsession of buying phone cases wont just stop here. It’s happening on my Samsung Note 2 too. The day I got my Note 2 in Low Yat, I tried to find a Samsung Note 2 case that doesn’t look boring and of cox not too expensive too! I couldn’t find one because most of them are those leather or solid color ones. 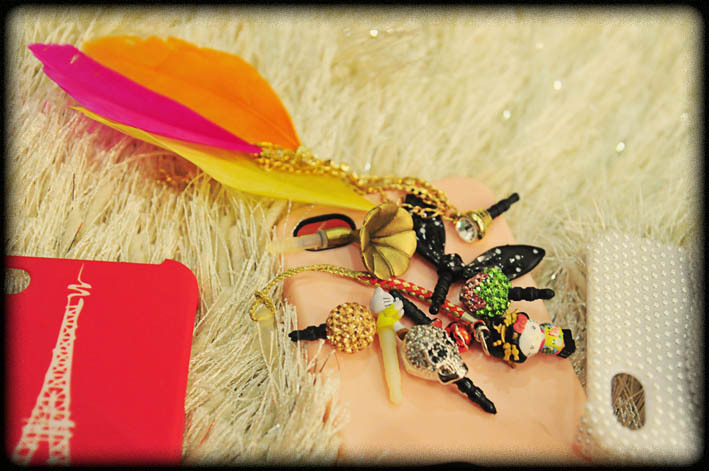 Lucky me that I found this FB online shop that sells Samsung Note 2 cases. Their case designs are pretty cool and the price is quite reasonable too! 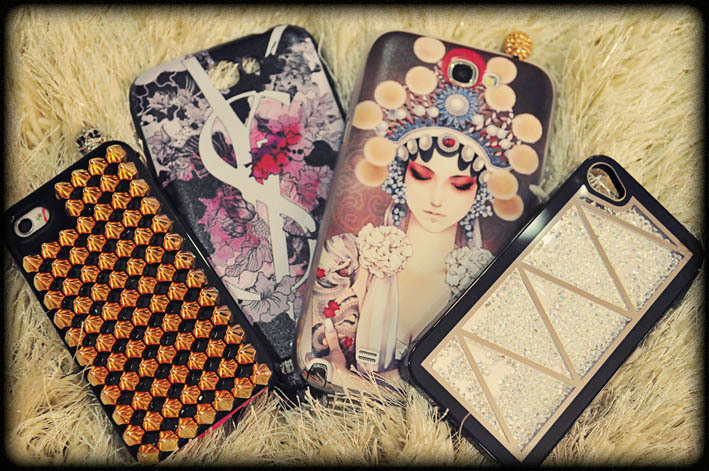 These are the cases that I chose from them, I got myself 2 Iphone cases and 2 Samsung Note 2 cases. Since my Iphone has a very cool image so I gave my Note 2 a different image. 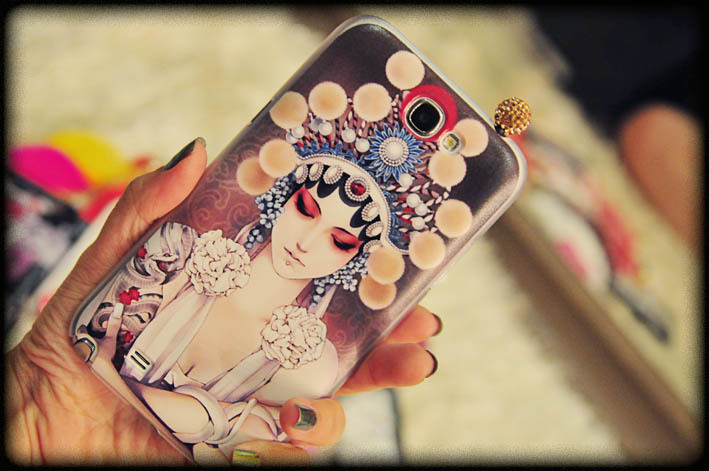 It looks more feminine with this chinese opera case and gold plug on top. 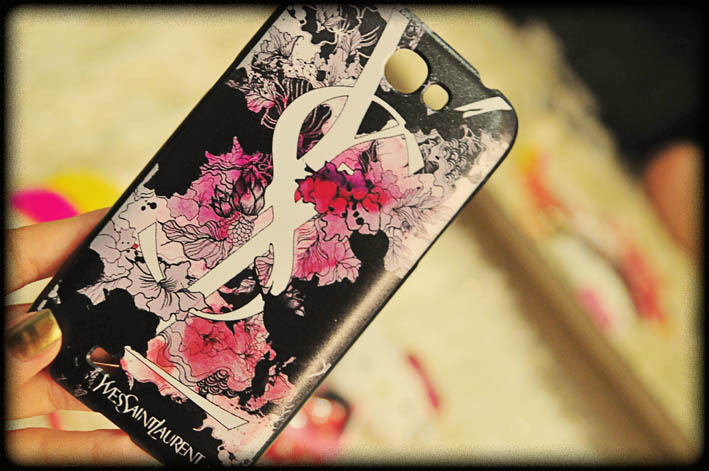 YSL case hahahaha, If i’m not mistaken they have this for Iphone 4/4S too! They started selling cases for Iphone 5 too!! 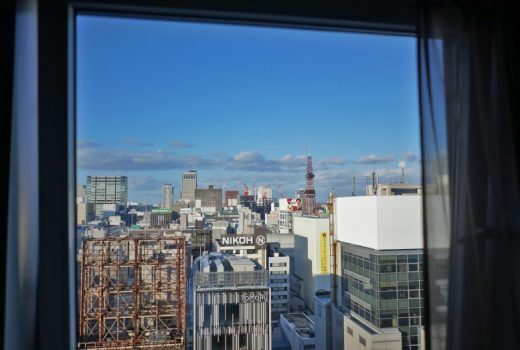 Two pieces of good news for you! They are having a promotion for Chinese New Year so please make sure you get 1 or 2 new clothes for your phone too! Another one is that you will get 10% off from your purchase if you type “bobostephanie” into your order form. HAHAHA!!! U give me ur iphone5 la!! 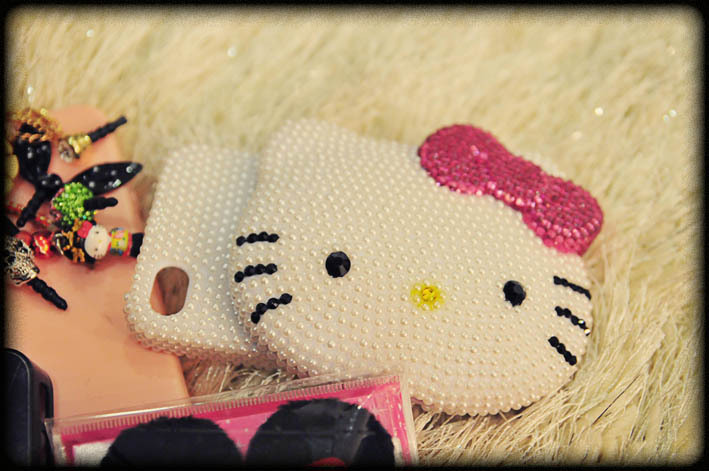 Omgggg I wan the hello kitty that one!!!!! 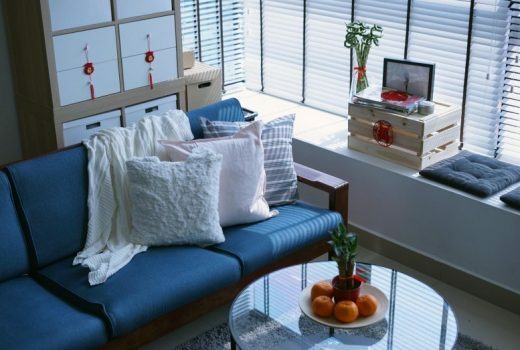 You collection is awesome. I like some of your stuff, hope I have this. I was also a bit of trouble with personalized gifts this year. Living in the South, it is x-box this and x-box that and I feel like people pretty much already have everything they would ever want x-box. so I gave him the x-box. But he likes the character Minecraft. so personalize his x-box with this, Xbox skin are awesome. and he is the happiest. 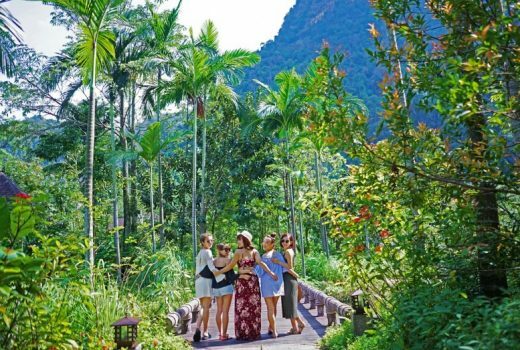 Life is so full of unpredictable beauty and strange surprises. Sometimes that beauty is too much for me to handle. Do you know that feeling? When is something just too beautiful? When someone says something or writes something or plays something that moves you to the point of tears, maybe even changes you.